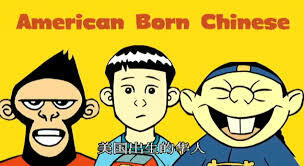 I am excited because the author of American Born Chinese, Gene Luen Yang, is coming to speak at our school on Wednesday! I love this book and as the mother of two children, who are of mixed heritage, the struggle of being caught between two cultures really resonates with me. 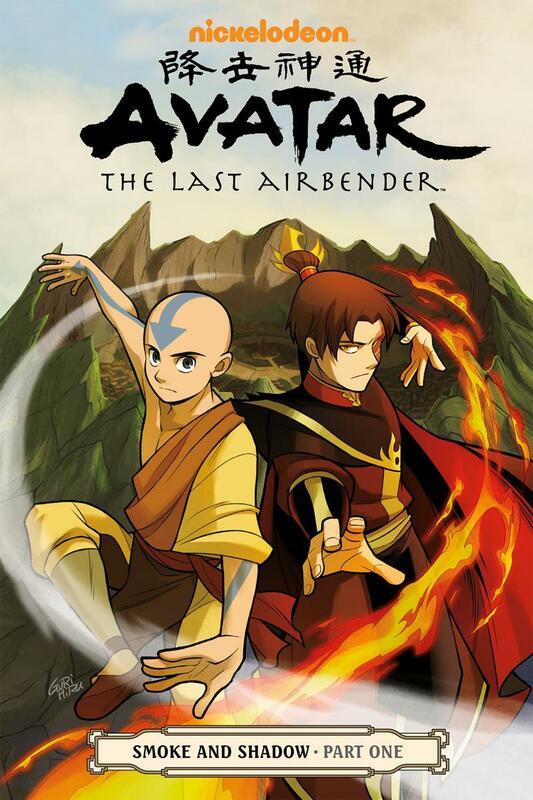 However, I would be amiss if I didn't say that I am also excited because he wrote the script for this Avatar series; Avatar the Last Airbender: Smoke and Shadow. You all probably know how much I love Avatar and that I have a giant stuff Appa (my co-spirit animal along with the dragon). I couldn't put this book down. It is an exciting read, there is a great plot development, the characters are true to form, and I thought there was a lot of depth to this book and it just makes me want to read more.. These are amazing books for anyone but they are especially good for students who enjoy the mix of intriguing illustrations with thought provoking text. I was first introduced to the work of Ken Liu through his translation of Cixin Liu’s unabashed science fiction novel, The Thee-Body Problem. I was impressed with how well the translation read and thought it would be worth-while to check out Mr. Liu’s epic fantasy, the Grace of Kings. 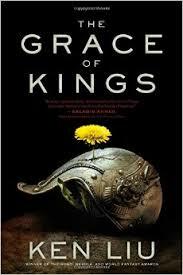 The Grace of Kings is a beautiful book just to look at and I was happy to see that it is a substantial book. In other words, it has a lot of pages! Those of you who know me, know that I read very fast so I like a book that has some length to it because I feel like it gives me time to get to know the characters. Nonetheless, I was a little surprised to see the long list of major characters in the beginning of the book. I thought this could be a challenge to develop so many characters but as soon as I started reading I was drawn in. What wonderful characters and so refreshingly different! For example, there is Mata Zyndu who is over seven tall and has double-pupiled eyes! He is the last warrior of his family and becomes involved in a revolution which leads him on a path to revenge, glory, and pain. His friend is the smooth-talking Kuni Garu, a nare –do- well bandit who somehow still ends up on the path to good. In the end, even though Mata and Kuni both believe they are doing the right thing, they end up on different sides of the battle. This book addresses a dichotomy that I have always been interested in. How can people who are good people and believe they are doing the right thing end up doing horrible things? How can people who love each other end up hurting each other? It is an excellent study in not just character development, but in the development of understanding of how complicated and multi -faceted people can be. I highly recommend this book because it will entertain, surprise and amaze you and it will make you think. This science fiction book by award winning Chinese author Cixin Liu was a joy to read. It is a true science fiction novel but brings a refreshing cultural background to readers who are not familiar with Chinese history. It is also provides a surprising twist on how people react in the face of a possible alien invasion. The Hitchhiker's Guide to the Galaxy is an old classic by Douglas Adams. I have read it before but I am reading it again because it makes me laugh! The Spanish version of Tesla's Attic, a book by one of my favorite authors, Neal Shusterman. Half Bad by Sally Green is a riveting but easy to read novel about a boy who finds himself caught between being half good and half bad- a half good/half bad witch that is. One of the most unusual things about this book is that part of it is told in second person (you) before it switches to first person. A fascinating first book- I can't wait for the next part of this trilogy to come out! I am currently reading two books (in English) by my favorite author, Neal Shusterman, One is Bruiser the story of a boy who tries to protect his sister from her boyfriend, Brewster, only to find out that Brewster is covered with bruises and scars. Who is the person who really needs to be protected? The second is Undivided, which is the last book in the Unwind series about a dystopian society where children can be unwound for their body parts. If you have already read the other books in the series, get Undivided into your hands as soon as possible! For mid to advanced Spanish students I highly recommend the new book out by Chris Perez, Selena's widower (yes, the heavy metal guitar player with the ponytail in the movie) Para Selena Con Amor. This would be a challenge but doable to read in Spanish. For AP students I recommend Burgo's book about Nobel Peace Prize winner Rigoberta Menchu called Me llamo Rigobeta Menchu y asi me nacio la conciencia. It is book for older students as some of the material is extremely graphic.